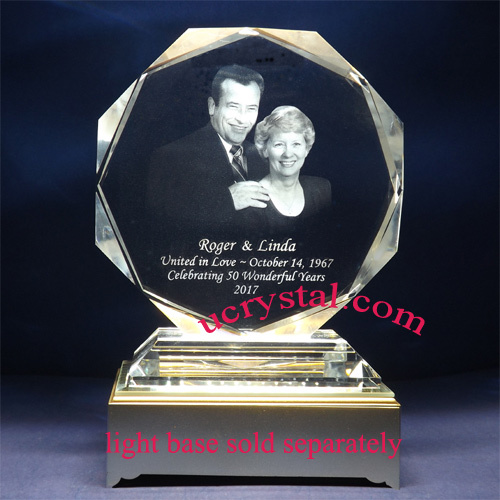 This triple panel crystal plaque consists of three parts fused seamlessly together to form an integral laser crystal plaque. 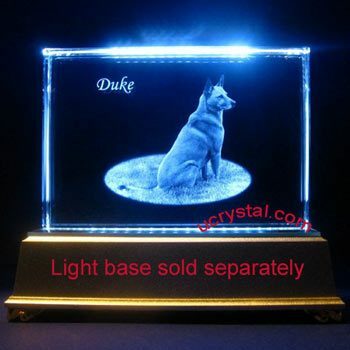 Two blue crystals that are of the same thickness flank the main central panel. 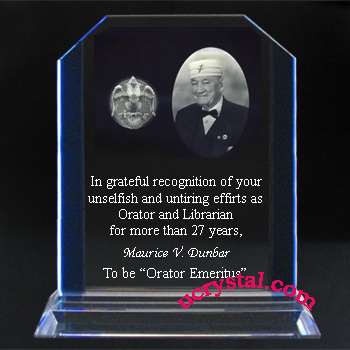 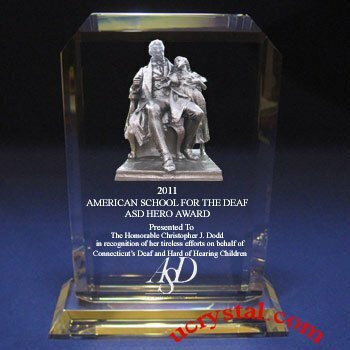 This Triple Panel crystal plaque has been well-liked by both organizations and individuals alike. 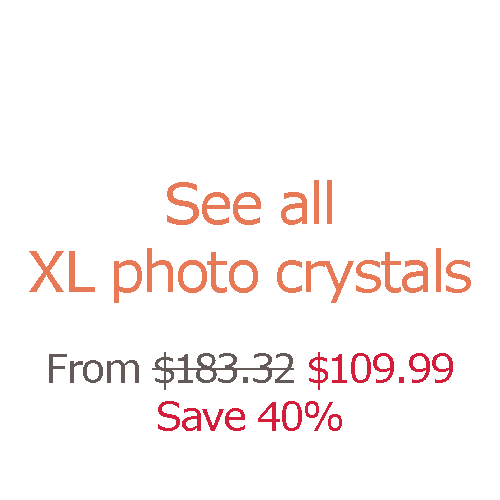 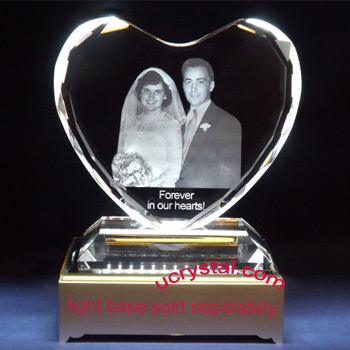 This extra large triple panel photo crystal consists of three parts fused seamlessly together to form an integral laser crystal plaque. 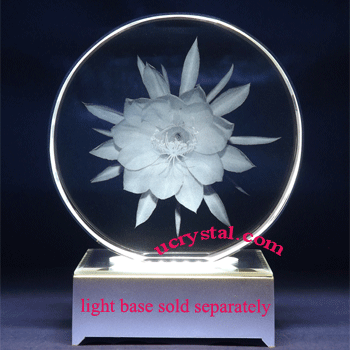 The center main panel is flanked by two blue crystals with same thickness. 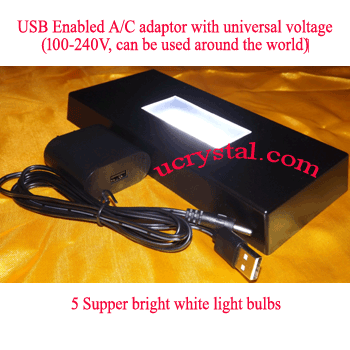 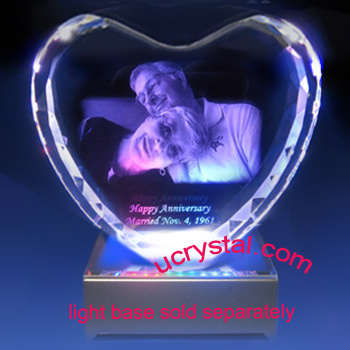 Size: 6” width x 8-1/2” height x 5/8” thickness. 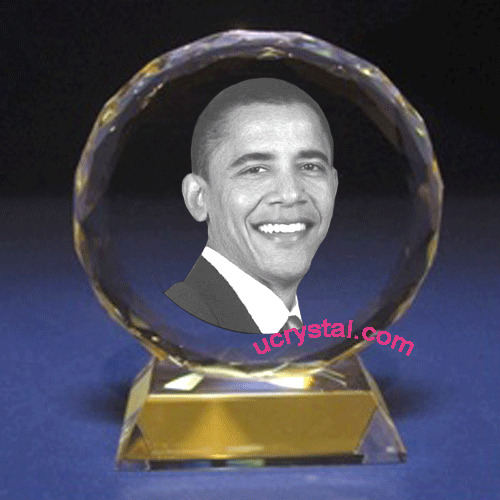 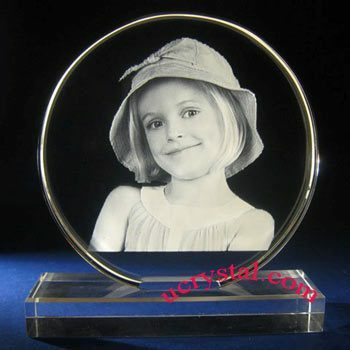 This Triple Panel photo crystal with attached base has been well-liked by both organizations and individuals.